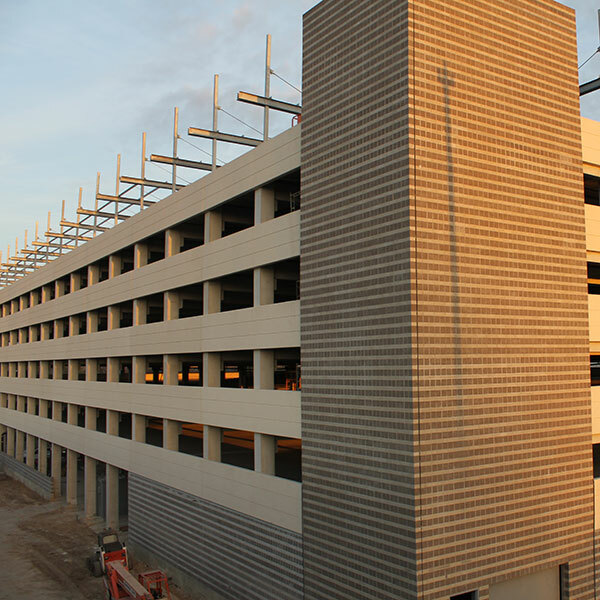 The new Comal Street Parking Garage is the most recent in a long list of projects Journeyman has undertaken for Bexar County. According to the County Public Works office, Journeyman has completed more construction work for Bexar County in the last 50 years than any other general contractor. 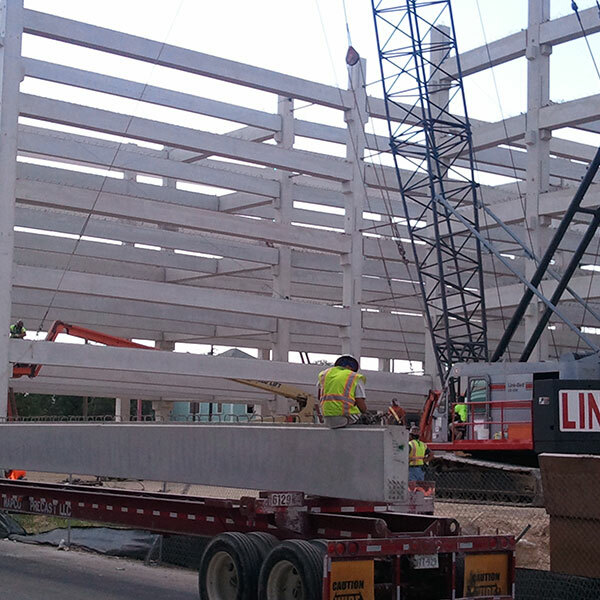 As the project began, it quickly became evident that both Bexar County and Journeyman would have to utilize their years of project experience to make the parking garage a win-win situation for both entities. Contaminated soils on the site had to be manifested before construction could even start and there were several structural design changes. Both issues provided challenges and Journeyman worked closely with Bexar County to ensure the project was not compromised. Daily communication was essential, as well as additional Quality Control staff were brought in to monitor and review erection. The team also worked with the concrete erector subcontractor and the structural engineer to provide an engineering bracing plan for the erection process. Other challenges presented themselves along the way. As the design process progressed, there were several issues with the design of the garage’s unique roof canopy. Journeyman worked closely with the project’s Engineer of Record and helped provide some redesign solutions. 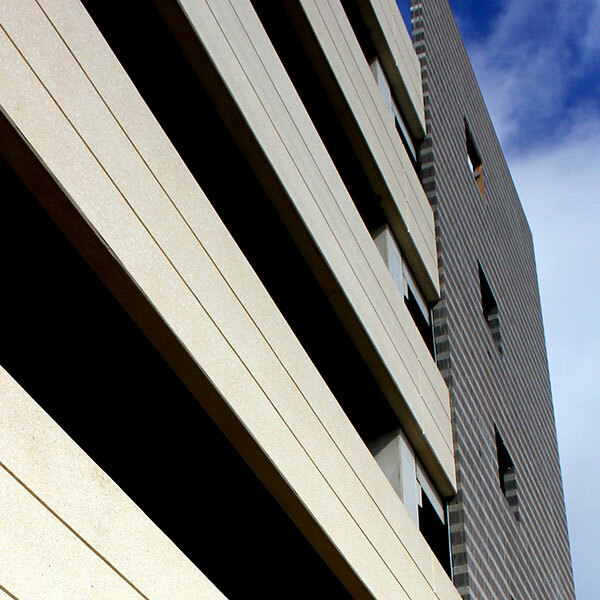 The 6-story 1,000 space parking garage is made of pre and post-tension concrete and includes a first-story 16,000 sf office and asset seizure storage room for the Bexar County’s Sheriff’s Office. A traffic coating system on the second floor provides a moisture barrier for the 1st floor office space. All interior parking spaces are equipped with a fire suppression system. Each floor is ADA accessible and is served by two elevators. Structural steel canopy awnings on the 6th floor shade all parking spaces on the top deck. The garage’s security components include approximately 70 Cisco cameras, a traffic booth for a full-time attendant, as well as card readers and parking gates.